In this fascinatingly complex thriller—a 2017 WHSmith Richard and Judy pick—two people, each shattered by their past, team up to solve a series of killings and abductions—a ruthlessly planned escalation that turns out to be merely the surface of something far more sinister. 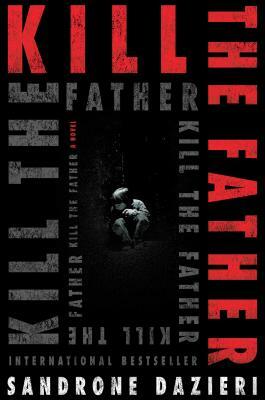 "Kill the Father is absorbing, disturbing, clever, bizarre, original and brutal." "[Features] two of the most intriguing detectives to have emerged in recent years .... As the case unfolds, this interesting pair realize the killer may be setting a trap for them that is going to prove impossible to escape. Brutal and frighteningly realistic, it never loses its grip." "An intelligent thriller … very entertaining." A breakout hit in Europe, this captivating novel keeps readers guessing and on edge until the final page. Fans of international crime novels will eagerly anticipate subsequent stories. "Dante’s wry humor and the bond that develops between these unlikely friends make this a compelling read. Kill the Father is only the first instalment of what promises to be a brilliant series." "Absolutely electrifying. Kill the Father is one of those rare treasures: a page-turning thriller—in every sense of the phrase—that is also brilliantly nuanced and rich with insight into the complex and compelling minds of those, good and bad, who inhabit its pages. This novel is the new definition of a one-sitting read." "Kill the Father is an intense, gripping, and entirely unforgettable story—part psychological puzzle, part police procedural, and part conspiracy theory. Mr. Dazieri has written a thriller of the highest order. Highly recommended." "Kill the Father starts with the investigation of a murder-kidnapping then shows its two intriguing heroes following surprising twists and turns to an unexpected ending. Truly original thrillers are rare, but Sandrone Dazieri has written one." “Sandrone Dazieri has written a beautiful novel. The best of this season’s thrillers. It’s a sinister and terrifying dream, and lurking within it, in the most hidden corner, barely accessible, is something that emits the cold light of absolute evil." “Nail-biting tension until the very end."